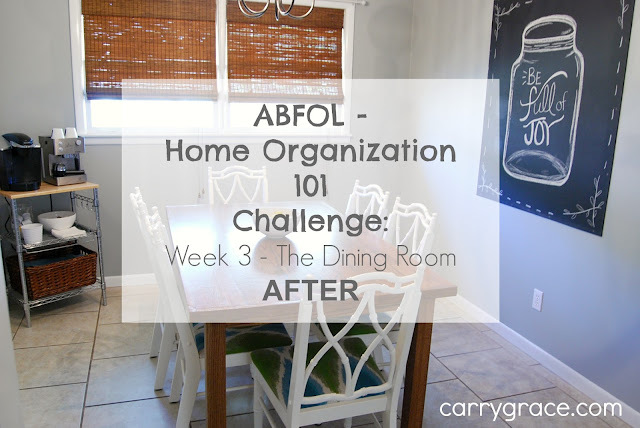 Welcome to Week 3 of the Home Organization 101 Challenge that is hosted by Toni, at A Bowl Full of Lemons. This week we worked on our dining room. 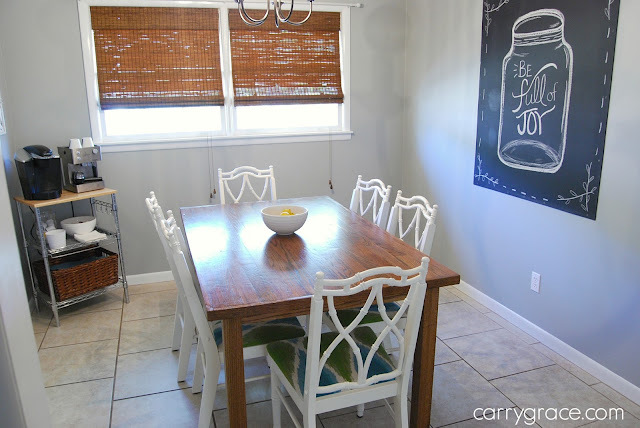 You can see all of the details on Toni's blog, but the main thing was to clear clutter, clean everything, organize everything, and get it all put back together. I cleaned everything that could possibly be cleaned in this room and then I started scheming. It happens every. single. time. During Week 1 - The Kitchen, I moved most of our coffee station from the kitchen counter to the corner of the dining room. I was convinced that we didn't have room in here for it to work, but I decided to give it a try anyway. I started out with this metal cart that was in my husband's office closet. We are liking it so much that we have decided to build a custom buffet and add the coffee station on top of it. We are still in the process of gathering supplies and figuring out plans, but I'm still pretty excited about it. You know I will keep you posted. Check out the complete before and after tours on my YouTube Channel.